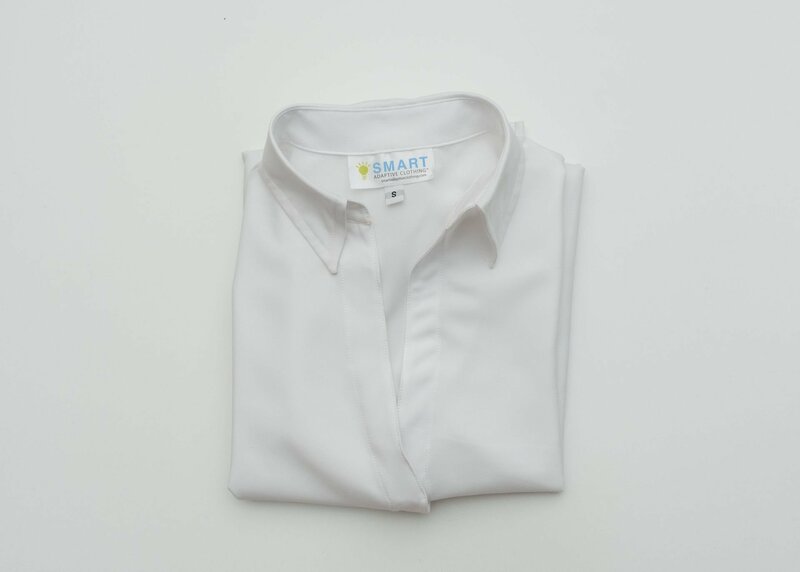 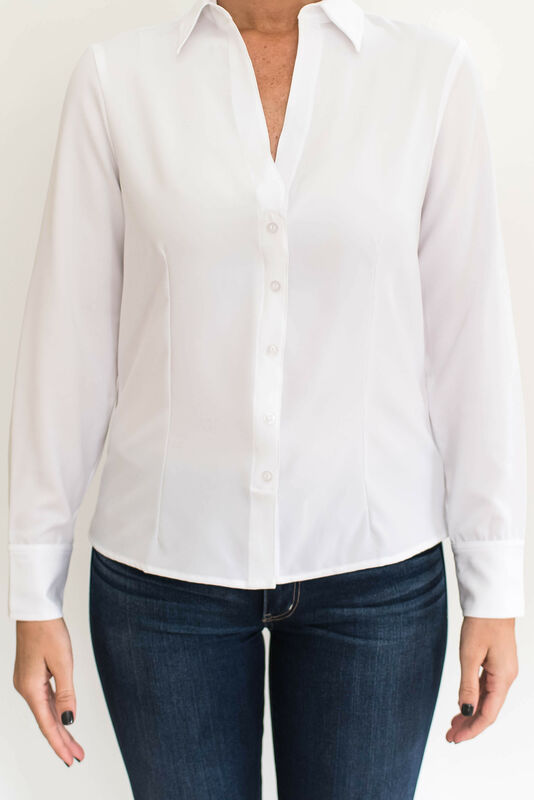 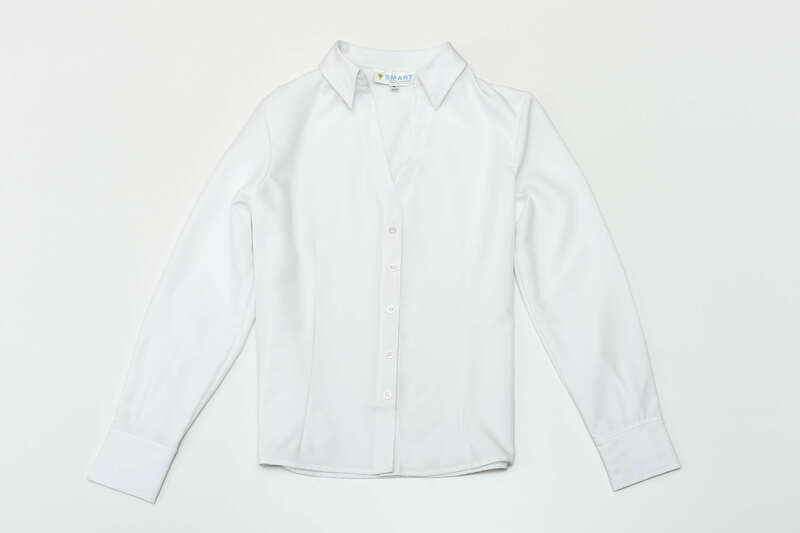 Classic Tailoring and tapered with darts for ultra-feminine style and feel.Dressy or casual.White blouse, buttons, placket, cuffs, collar, Velcro® fastener.Signature 2 1/5” cuffs for easy on and easy off dressing. 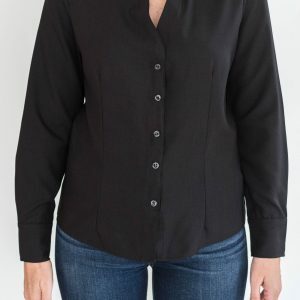 Darts in front and back of the blouse give that extra attention to detail, tailoring with luxurious style & feel.Made in the USA of imported fabric.Wrinkle resistant. 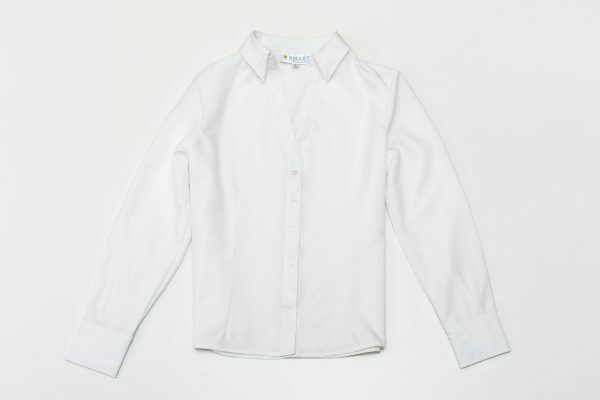 Fasten front placket and cuffs prior to washing.